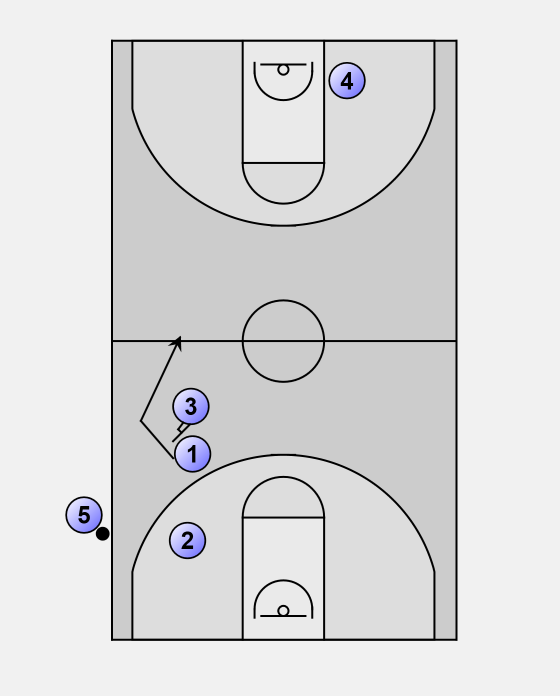 3 sets a screen for the screener 1. The options are 2 gets open off 1's screen. 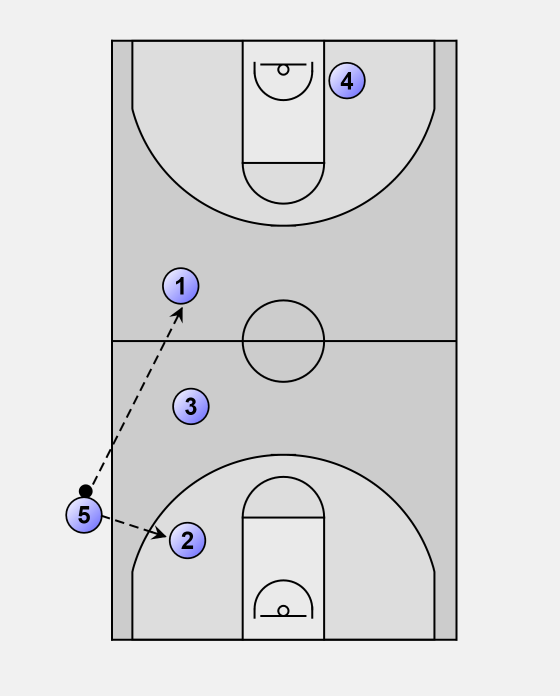 1 then breaks hard to the basket off 3's screen. 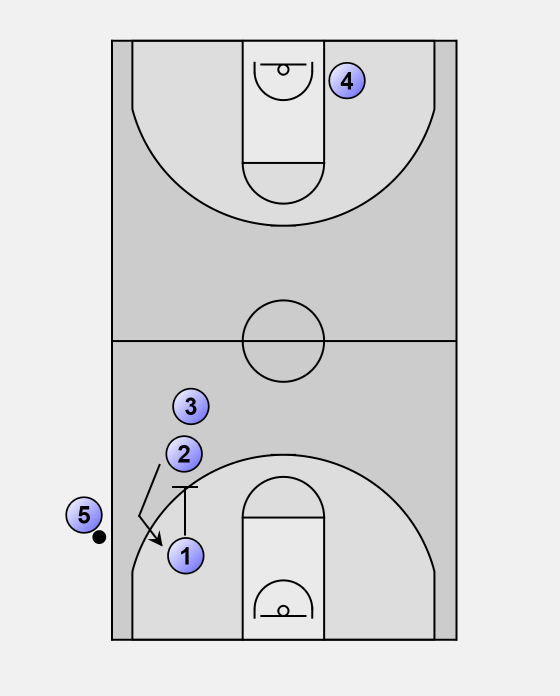 If pass goes to 1 we play two on one going to the basket.